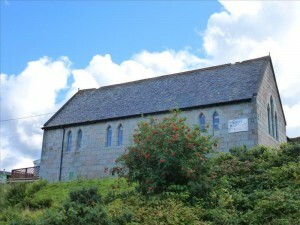 This church is situated on the hillside overlooking Bunessan village. It was built in 1891 and is constructed from Mull granite with a slate roof. There is some red slate ridging at the very top of the roof. An outhouse has been added at the back. 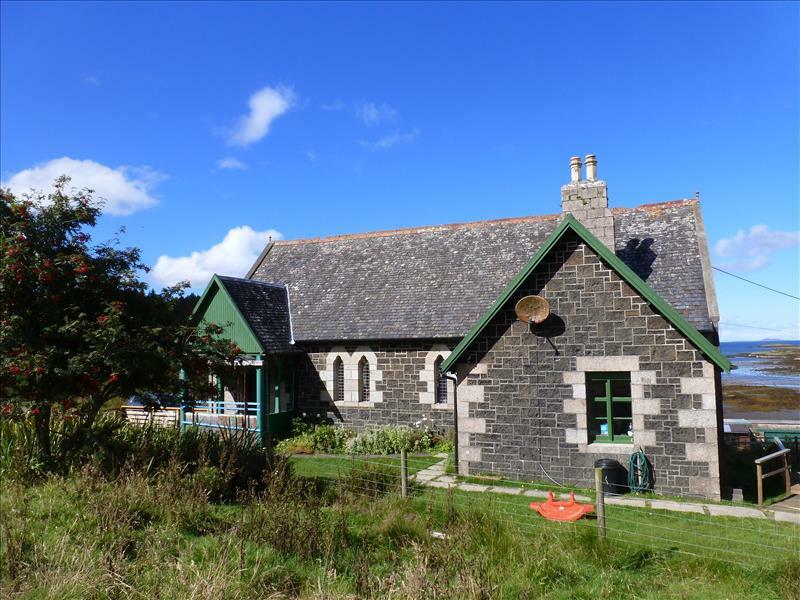 Despite many difficulties, with most of the community being against them, the first Baptists in the Ross managed to build a meeting house in about 1823 at their own expense, probably on the farm of a small tenant or crofter. 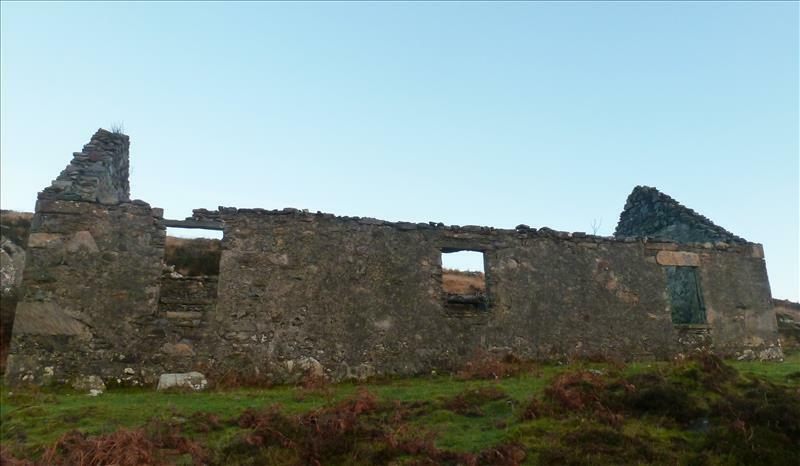 They used this building until about 1830 when they were forced to leave, possibly by the local heritor (landlord), the Duke of Argyll, acting through his local chamberlain. 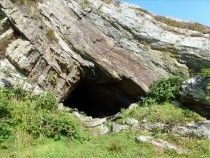 They then worshiped in a cave or on the shoreline, probably below the high-water mark. At this time the number of Baptists were slowly growing, mainly amongst the crofter class, but it is believed that once the chamberlain had died, persecution lessened and the body of Baptists in the Ross really started to grow. By May 1835 the church was given recognition as a properly constituted church and Duncan McIntyre and Duncan Ferguson (his ministry spanned forty years) were chosen to be the elders and ordained on May 31st in 1835. Then in 1842 Charles Macquarie, a merchant in Bunessan, became a third elder. 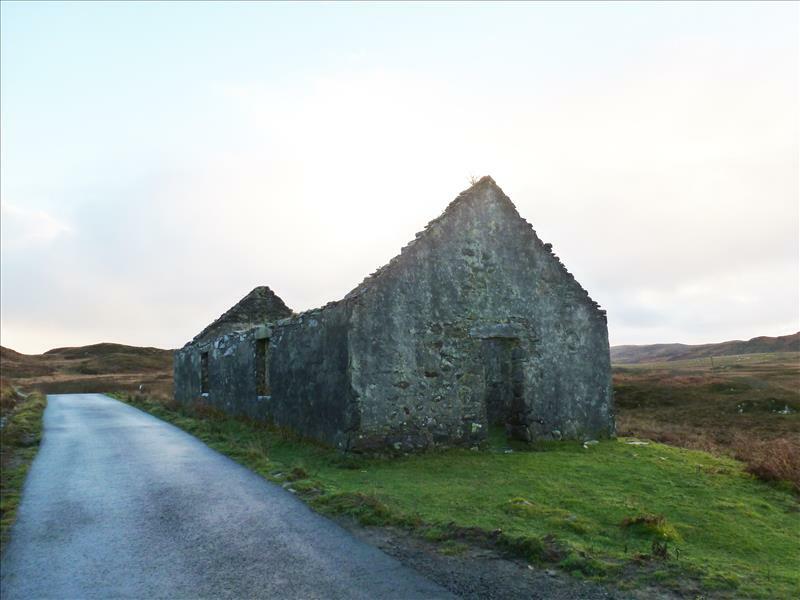 Sometime between 1835 and 1838 a building was found in Ardalanish that could be used for worship and, finally, around 1845 a meeting-house was built there to seat 300 – 400 people, although at this time there were only 73 members. The remaining walls of this building can still be found on the west side of the road between Bunessan and Uisken. 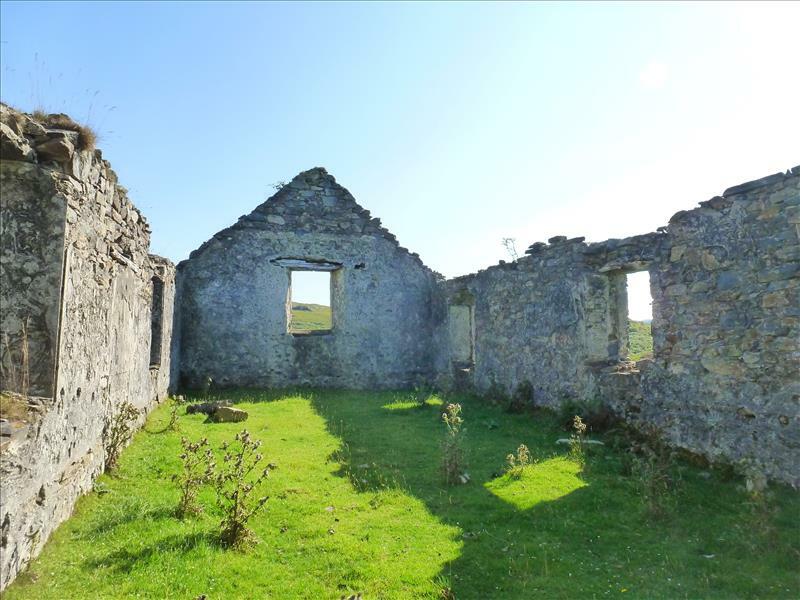 However, soon afterwards, between 1847 and 1851, the poorer crofters on the Duke of Argyll’s estates were evicted, which resulted in the loss of members from the church, including some elders. Revival came again to the Ross between 1875 and 1876 and its membership increased to 68. 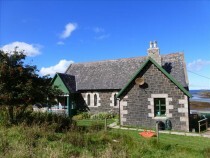 In 1891 the Ross church moved its meeting-house from Ardalanish to Bunessan, where they built a new chapel, which became known as Bunessan Baptist Church. The church is one of the finest Baptist chapels in Scotland. 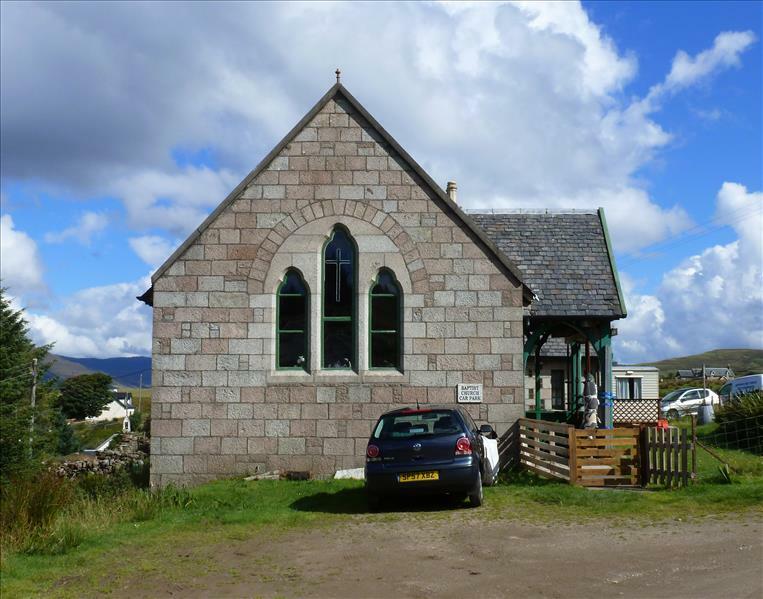 After the retirement of Duncan Ferguson in 1877 the church was reliant on ministers coming over from Tiree, although a local man from Ardchrishnish, Francis William Taylor, served in the church from 1913 to 1920. Until 1930 almost all the pastors were Gaelic-speaking, but, thereafter, ministers spoke only English. 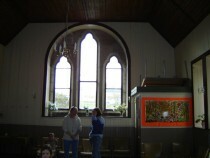 Attendances declined again during and after the Second World War and in 1942 the church was linked with Tobermory Baptist Church for its pastoral care. Subsequently, in 1954 both churches came under the care of the pastor of Oban Baptist Church. 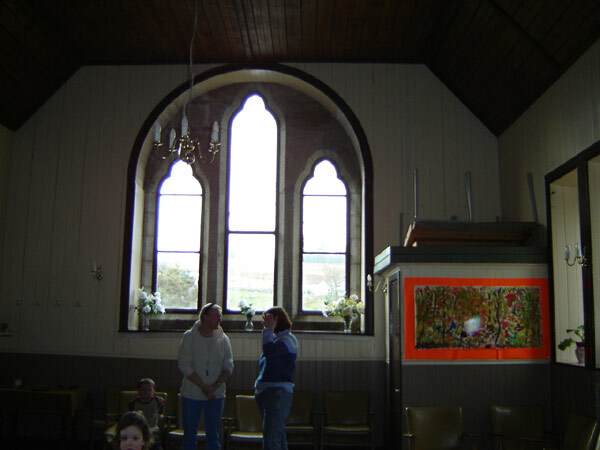 The church in Bunessan kept its door open by regular visits from the Oban pastor and also by using ministers who were on holiday in the area. However, because of the lack of local leadership the church declined and had ceased to be an integral part of the community by the early 1980s. Once again, though, it was to revive through re-population of the island by those buying holiday and retirement homes. With funding from the Baptist Union of Scotland and various Trusts the church was renovated, decorated and electricity and water installed, along with the removal of the old pews. The work took two years to complete and on 25th September 1988 a Thanksgiving Service took place, which was attended by about 90 people, including people from other denominations and Christian groups on the island. Thus the church was re-established in the Ross and was also used by various local organisations during the week. It was renamed Mull Baptist Church. It went through another decline during the late 1990s, but the small congregation remains active and the building is frequently used for commumity activities. Services are held every Sunday at 11.00 am. For more information see: Meek, D E, Sunshine and Shadow – The Story of the Baptists of Mull, 1991.